I consciously joined the Navy just before the first Gulf War because I had no children and did not see the need for those who had families to risk the consequences of service. Friends and colleagues came back diagnosed (as adults) with pediatric cancers. They did not receive medals, rather a diagnosis that typically resulted in an amputated limb. I went back to school, as a disabled veteran, to become a nurse to care for those who often have little voice in their prognosis. In the pediatric ICU at Rush, I have cared for children dealing with the ramifications of a cancer diagnosis. I encounter these brave souls as I teach our nursing students in the community. Cancer is a formidable enemy — not unlike those I faced every day while serving in the U.S. Navy. But cancer, especially childhood cancer, is an entity we may stand a chance to beat. If we raise a battle cry loud enough, someone will hear and rally the “troops.” Those “troops” are the dedicated researchers who spend countless hours in the laboratory searching for a cure. 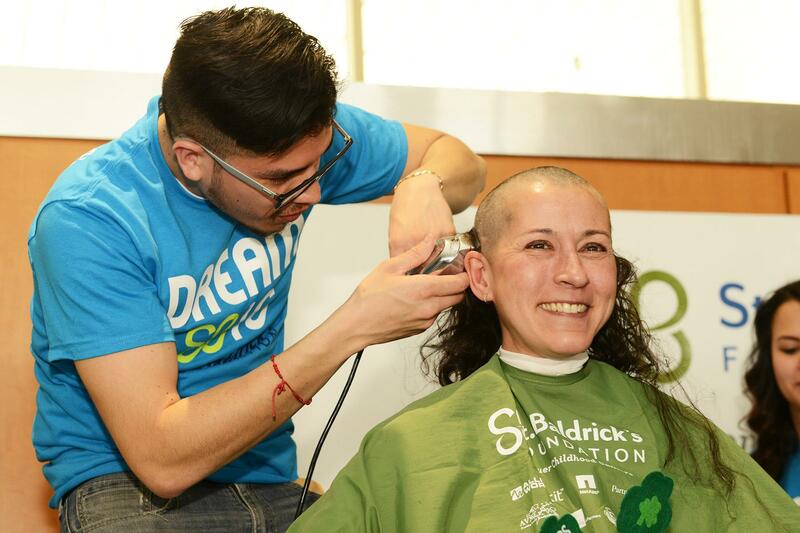 It is no small sacrifice to some that I shave my hair for St. Baldrick’s. I have already encountered those who say “Why would you do that before you are going to a national conference?” or “Can I buy you a hat or scarf so you won’t look odd or be cold?” For me, this so-called “sacrifice” is minuscule and priceless if the funds I help raise contribute to the eventual defeat of this formidable foe. These children wear their scars and hairless heads as badges of honor, courage and hope. They inspire me to never give up, to always keep a good thought and remind me that the power of laughter often supersedes any pharmaceutical on Earth. I appreciate your support and look forward to you stopping me in the halls to perhaps, rub my shaved head for luck, or to simply just share a heartfelt smile. Tanya Friese, DNP, RN, CNL, is an instructor in the Rush University College of Nursing’s Department of Community, Systems and Mental Health Nursing. She is also the educational coordinator for the Road Home Program: The Center for Veterans and Their Families. This entry was posted in Cancer, Children and tagged cancer, nursing, pediatric cancer, St. Baldrick's. Bookmark the permalink.